We have all searched for a local business on our smartphones and found a local business that matched our search criteria. However, when we clicked on the link in Google, the website landing page was hard to read, navigate, or did not even take us to that actual content we had in our search. If you are like most people, you probably just hit the back arrow on your screen and looked for a different site you could actually read and easily navigate. Unfortunately, many local businesses still have unfriendly mobile device sites or have not taken the time to actually access their site to see what challenges it poses for mobile users. Don’t be this business as any Search Engine Optimization strategies you are using are not going to be truly effective, until you address your website design and page content to ensure it is mobile device and user friendly. Step 1:Design pages for access from multiple devices. There are different options and dynamic web design is the popular choice since it requires a single website design which is accessible from multiple devices. Step 2: Decide on an appropriate layout. 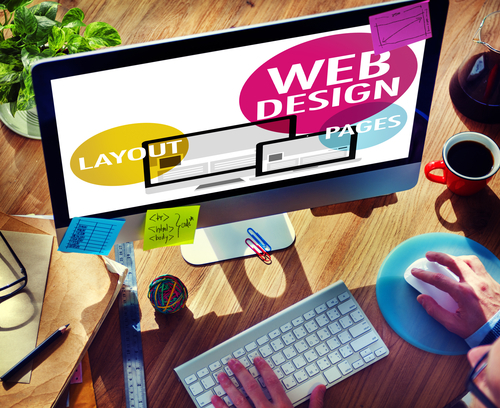 The layout of your pages is important and should be easy to navigate. Step 3: Text-based content should be written with the mobile user in mind. The length of the text-based content should be between three and four lines maximum. Step 4: Use icons and emoji’s in place of actual text. Icons and emoji’s are great to use on site designs, because they make navigation and linking to other pages and external sites easier, like the “F” logo button for Facebook. Step 5: Make sure the content is finger and thumb touch friendly. You want to make sure people do not have issues navigating the site, scrolling pages, and so on. Step 6: Optimize content for local searches. On page content should reflect the local area you want to target if you want ranked in either Local Pack or local organic search results, or both. Step 7: Limit the use of images, videos, and graphics. Pictures, images, and videos can enhance a user’s experience, but they can slow down page load times. A better solution is to limit the use of these and provide links users can click on if they want to see full-sized versions or watch the entire video. Step 8: Make your contact details easy to find, and consider including a link to a Google Map. Most people want to know where you are located or how to call you when they find you through a local search. Step 9: Verify each site page works correctly on each type of device and computer. Take the time to use emulators and test your site and verify it is compatible on all types of mobile devices, as well as tablets and computers. Step 10: Make adjustments as needed. If you discover problems when testing the page content on various devices, take time to correct any issues and retest. For assistance in developing mobile friendly web pages and web designs, contact Webryze as (416) 900-1047 today!